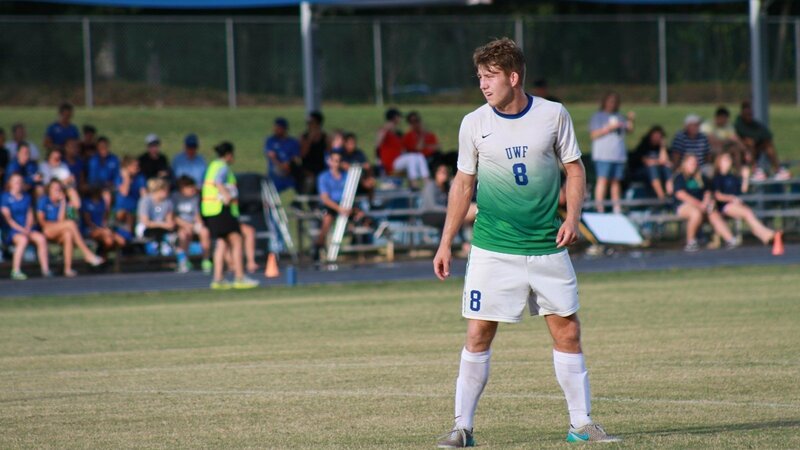 Join the University of West Florida Men’s Soccer Elite ID Clinic. It is a fitting soccer training program for high school junior and up. Both male and female athletes are eligible to join the clinic. It will be on the 14th of October at the University of West Florida, Pensacola – Game Field. The event is an opportunity for players to train under the supervision of professional college coaches and varsity players. It provides an ideal preparatory training for players who aspire to play at the college level. In addition, there will be a discussion regarding college recruitment processes. The clinic is set to start at 9:00 AM and end at 3:30 PM. The University of West Florida is a public, coeducational, space grant university in Pensacola, Florida. It is a member of the State University System of Florida. The university is also part of the Association to Advance Collegiate Schools of Business. It has a Southern Association of Colleges and Schools accreditation. Furthermore, University of West Florida accommodates around 10,100 undergraduate students and 2,900 postgraduate students. This is through an acceptance rate of 41 percent. The student to faculty ratio is 22:1. University of West Florida is 169th in the Engineering Programs, 2018 edition of Best Colleges rankings. Moreover, University of West Florida fields 15 intercollegiates sports teams. They are competing in the Gulf South Conference, member of NCAA Division II. The athletes’ nickname is Argonauts. Their identity colors are blue and green. Leading the University of West Florida men’s soccer team since 1995 is Head Coach Bill Elliott. Under his leadership, the Argonauts men’s soccer program has already 9 GSC championships, 16 GSC Tournament appearances, and 6 NCAA Tournament appearances. Ultimately, Coach Elliott is a 5-time GSC Coach of the Year. He is also a 3-time South Region Coach of the Year. Then, the graduate assistant coach is Juan Hernandez. Lee Irving is the volunteer assistant coach. Finally, Japhet Bitsindou is the student assistant coach. Join the University of West Florida Men's Soccer Elite ID Clinic. It is a fitting soccer training program for high school junior and up.